Age related cataract is responsible for 48% of world blindness, which represents 18 million people, according to the World Health Organisation. In developing countries surgical services are inadequate and in the majority of cases people cannot afford the cost of the operation. Our Club by co-sponsoring the Eye Camp in Punjab for the last 8 years is providing a great service to the rural community. Chachoki Eye Camp was additionally funded this year by Maidenhead Rotary Club and our sister clubs in Tivoli, Bonn and St Cloud as our Quadrilateral Project. 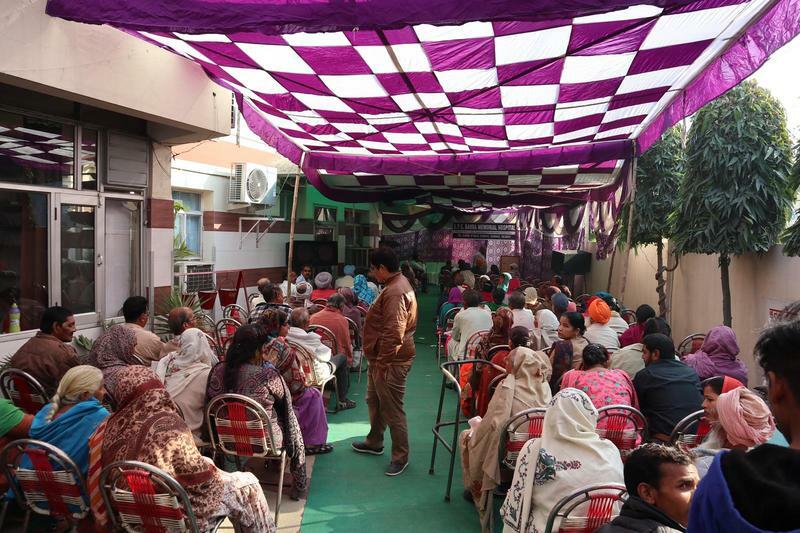 The 9th Eye Camp was held on Saturday 17 November 2018 at Chachoki, Punjab, India. This year Past President Gurdip and his wife Sati were accompanied by their son Rajpal and his wife. It was another successful event. Over 300 patients attended and had their eyes checked. The screening process identified 94 patients needing cataract surgery. 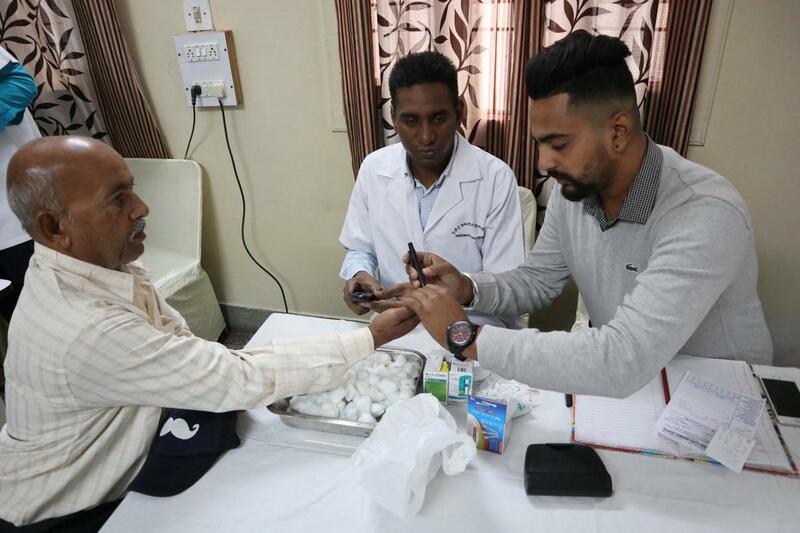 These patients had further tests including blood glucose and blood pressure monitoring to ensure fitness for surgery, and were booked for surgery over the next 7 days. Other patients not needing surgery had a free eye test and were given prescription glasses. 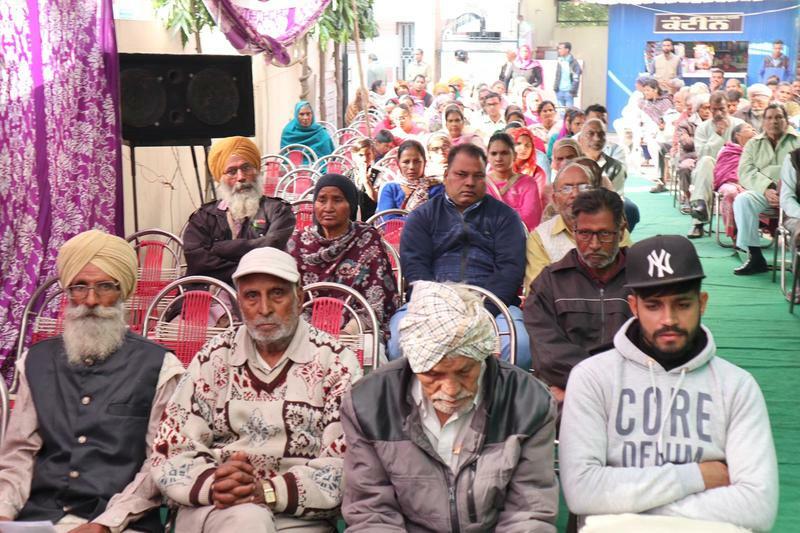 To date over 1000 people have had free cataract surgery over the nine Eye Camps sponsored by Rotary Club of Maidenhead and Gurdip's family. 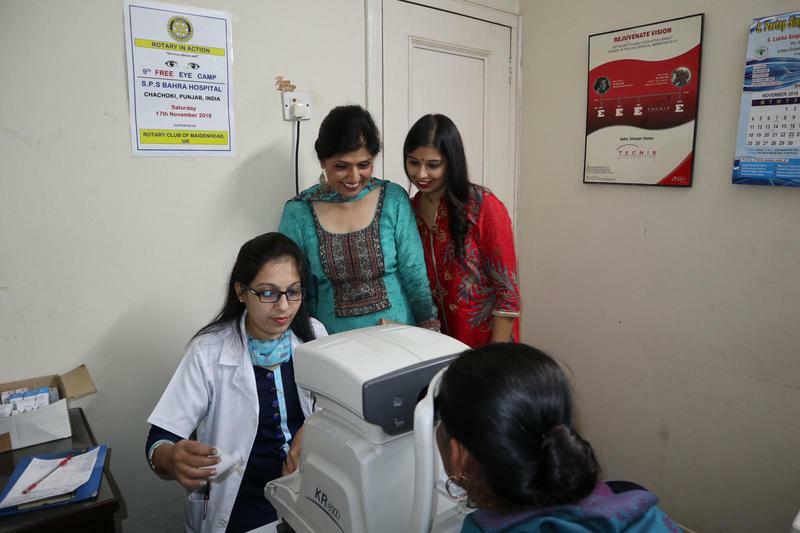 Below is a selection of photos from the most recent Eye Camp. 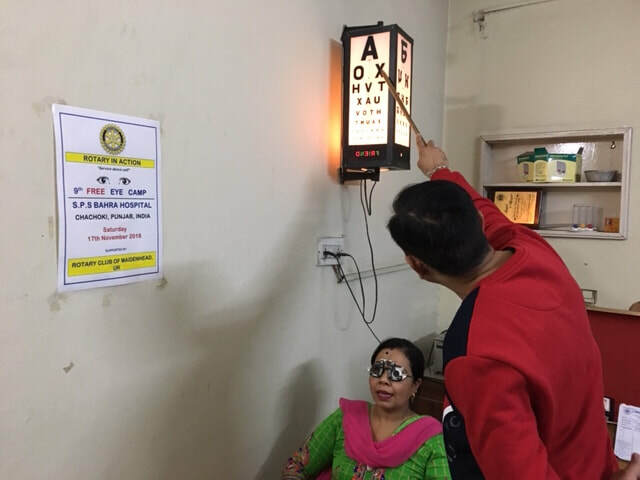 The Rotary Club of Maidenhead has been sponsoring a free Eye Camp at the S.P.S. Bahra Hospital at the Chachoki village in the Punjab, India, since 2010. 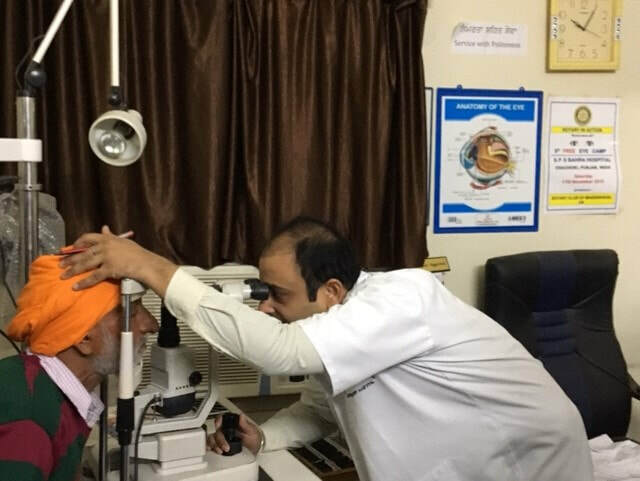 During a visit to his ancestral village of Chachoki, Rotarian Gurdip Bahra saw a need to provide free cataract surgeries. His grandfather had put all his life’s savings towards building a charitable hospital in the village for the benefit of the poor. The hospital has a maternity and outpatient wing and had recently installed an eye unit with modern machines and equipment to perform cataract surgeries. Gurdip was dismayed that the local community was not making full use of the facility, which was standing idle most of the time. He discovered the main reason for this was affordability. Trust members managing the hospital suggested the idea of holding a free eye camp, if donors could be found to pay for the treatment. Gurdip put the proposal to the International Committee of the Club who approved it immediately with a budget of £1000. Gurdip and his family members raised a similar sum at the Maidenhead Boundary Walk. 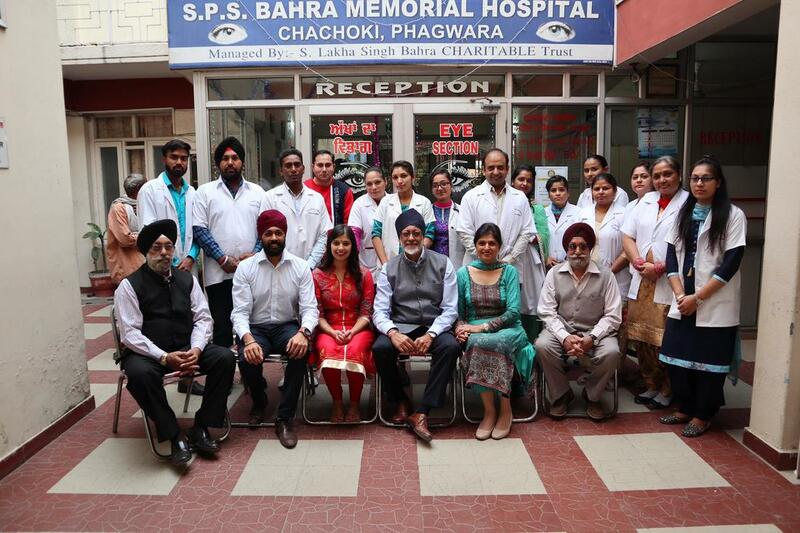 ​The first Eye Camp was held on 16 October 2010. Over 500 people attended and were screened. 102 patients, the majority of them over 60 years old, were identified as needing cataract surgeries. 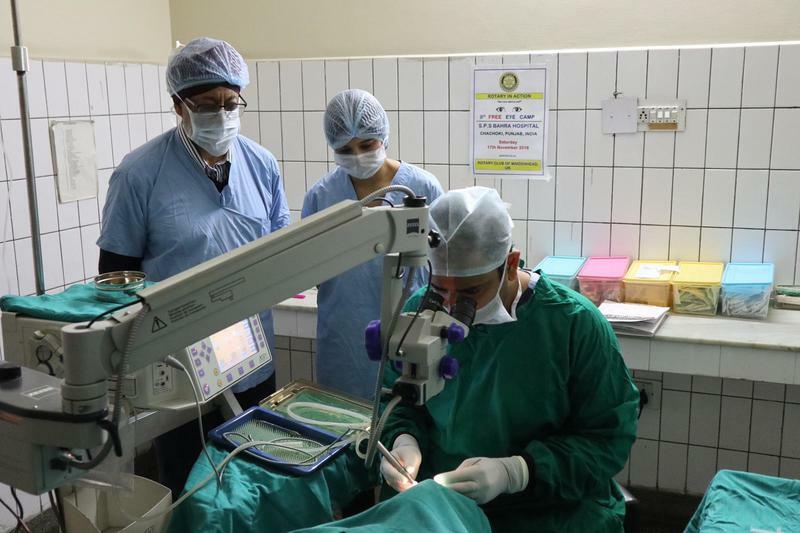 The operations were carried out using Microincision Cataract Surgery which involves cataract extraction with Phacoemulsification and implantation of a foldable lens. Phacoemulsification is a surgical procedure by which a clouded lens is extracted by fragmenting it into tiny pieces with ultrasound energy and aspirating out with a suction device. There are no stitches and it is a bloodless and painless procedure. The camp was a huge success and Maidenhead Rotary Club has been sponsoring this cost effective annual event since 2010. Cataract surgery in the U.K. can cost anything upwards from £500, whereas it costs only £15 at the Hospital in Chachoki. ​Club members have been very supportive and President Frank Knowles attended the camp in 2014 when a record 150 surgeries were performed. Over the last five years over 2500 people have been screened and over 600 cataract surgeries performed. Patients not needing cataract operations have benefited from treatments for minor eye problems including infections and eye tests and the vast majority of patients have been fitted with prescription glasses.